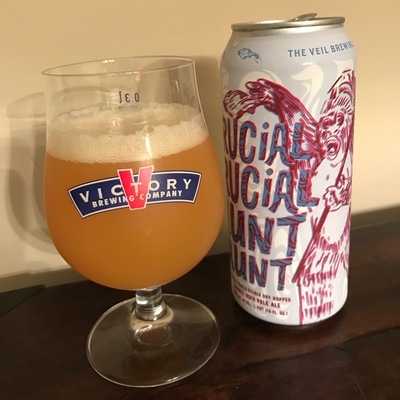 Richmond, Virginia's The Veil Brewing Co. opened it's doors around six months ago. 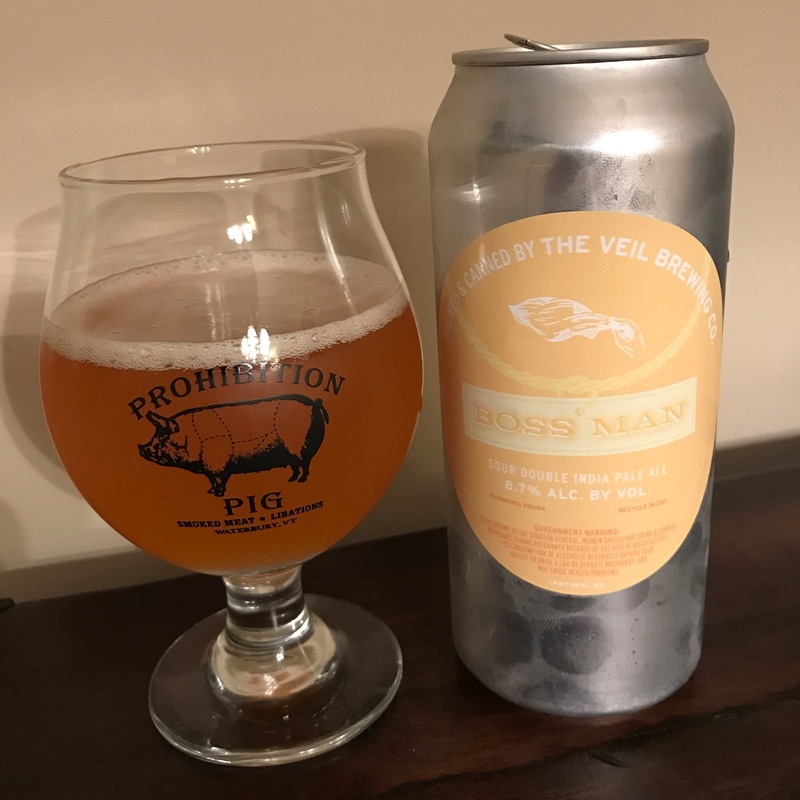 Brewer Matt Tarpey spent some time at several Northeast breweries, including the likes of The Alchemist and Hill Farmstead, as well as completing an apprenticeship with Jean Van Roy at Cantillon in Belgium. That's a pretty impressive pedigree. 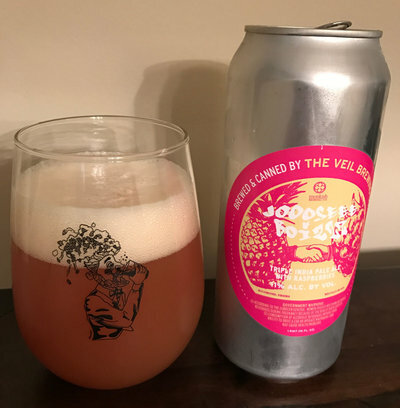 Since they're just getting started, I imagine their spontaneous fermentation program will take some time to develop, but their IPA game is already turning heads amongst the beer dork community. The name of the brewery comes from Tarpey's time in Belgium. He was discussing pellicles, the thin film that forms on top of the beer during spontaneous fermentation, and he noted that "Jean has a lot of friends in Italy that are natural winemakers and he told me that his friends in Italy call pellicles 'the veil.' That moment was very special and I just remembered it..."
I managed to get my grubby little biscuit snatchers on four different cans of relatively fresh stuff. No spontaneous fermentation here, but one great IPA, two interesting takes, and one that didn't work out. So a pretty decent batting average and a promising start. I'm really intrigued to see where these folks go next. Beer Nerd Details: 8.4% ABV canned (16 ounce pounder). Drank out of a tulip glass on 10/7/16. Canned on 09/20/16. 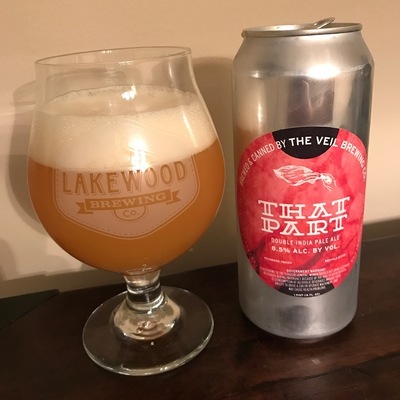 Beer Nerd Details: 11% ABV canned (16 ounce pounder). Drank out of a tulip glass on 10/9/16. Canned on 09/20/16. Beer Nerd Details: 8.7% ABV canned (16 ounce pounder). Drank out of a tulip glass on 10/14/16. Canned on 09/19/16. Beer Nerd Details: 8.5% ABV canned (16 ounce pounder). Drank out of a tulip glass on 10/14/16. Canned on 09/20/16. Many thanks to fellow beer nerd Nick for making the trip down to Virginia and securing these cans for me. He's a great American, and I'll be discussing more of his generous acquisitions later this week as well. This page contains a single entry by Mark published on October 19, 2016 11:40 PM. Jack's Abby Copper Legend was the previous entry in this blog. Other Half Quadruple Feature is the next entry in this blog.